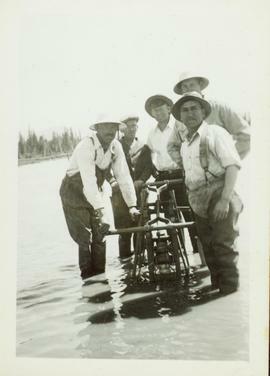 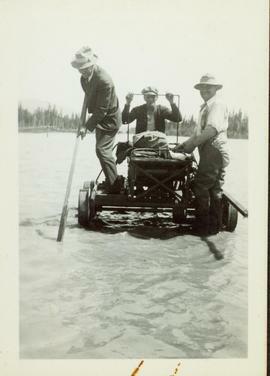 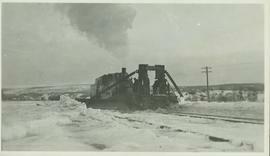 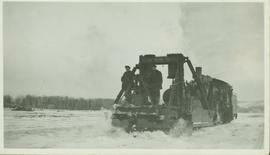 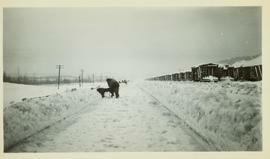 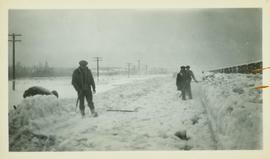 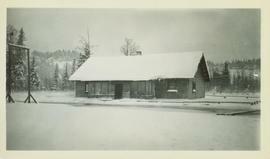 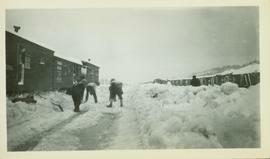 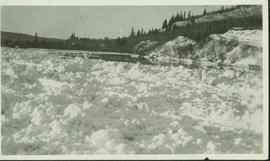 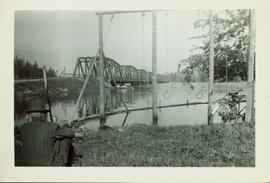 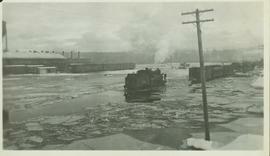 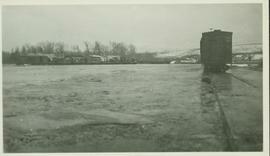 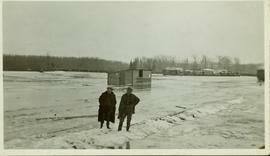 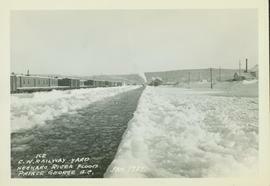 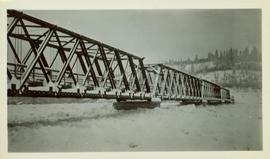 In 1936 a flood covered CN tracks in the Prince George area. 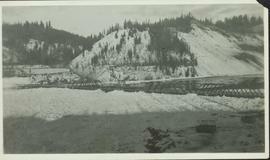 The road north to Salmon River is visible in the upper right corner. 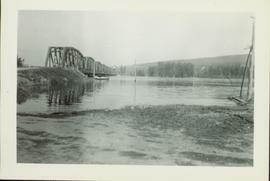 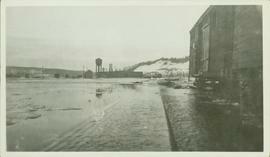 Photo taken in the late spring of 1936 at the west end of the CNR bridge when flood waters had covered up what was then known as the "tourist camp". 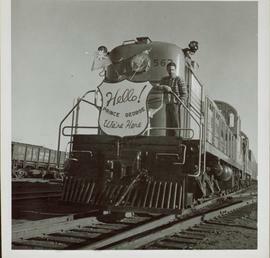 Man stands on the front of a PGE train next to a sign that reads: "Hello! 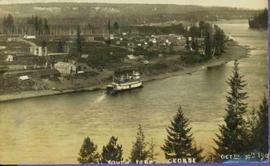 Prince George We're Here". 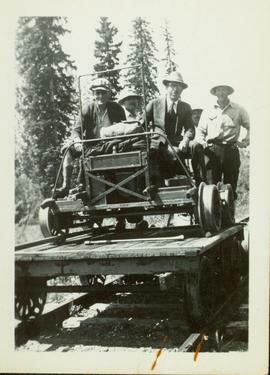 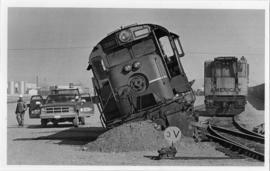 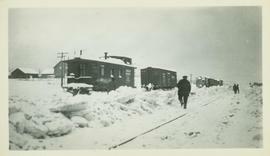 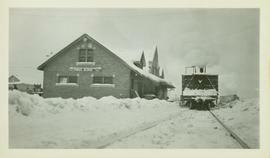 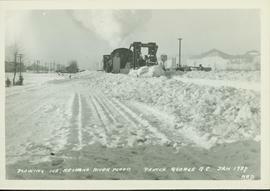 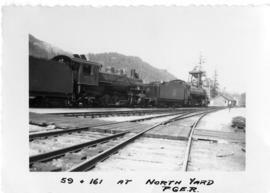 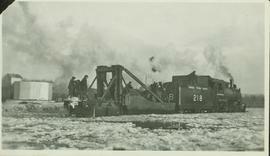 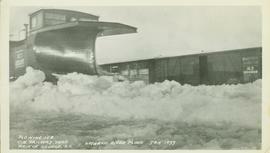 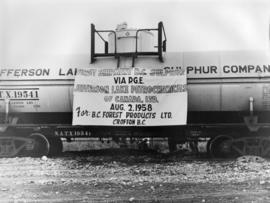 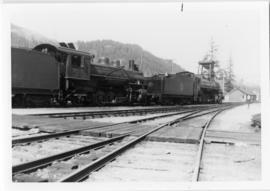 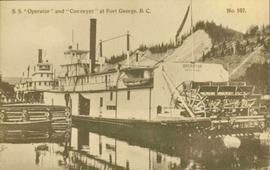 This photo was taken after the arrival of the first PGE train from Squamish to Prince George. 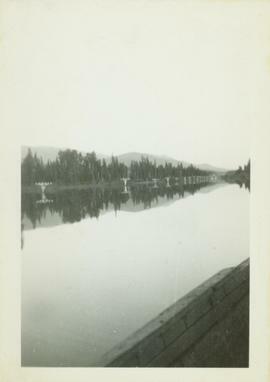 File consists of 1 audiocassette of interviews possibly by Bridget Moran with Arnold Davis and Claude Foot.